Markets are once again back under pressure after Tuesday’s equity market gains were entirely wiped out (9th worst point drop on record for Dow). 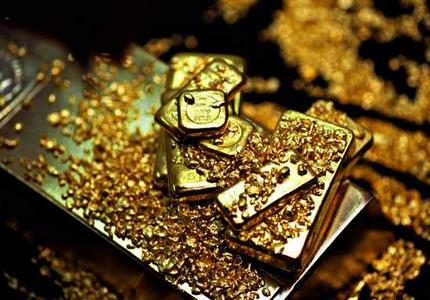 Fear and panic remain firmly in control, and gold prices continue to soar to record highs beyond $1800. The US Dollar has been a major beneficiary of the safe haven liquidation, while the Franc and Yen are also incredibly well bid. 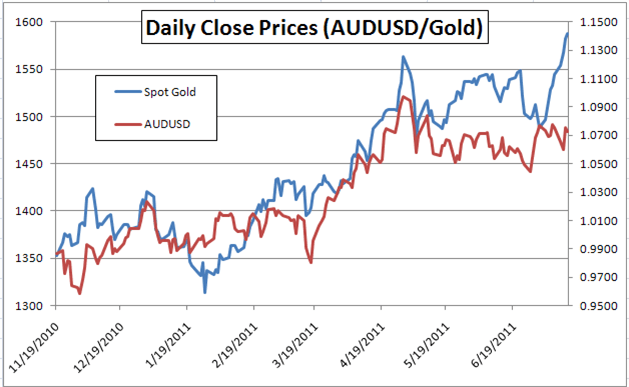 Meanwhile, the higher yielding commodity bloc has been decimated, and the Australian Dollar has led the declines. A weaker batch of employment data out of Australia has not helped the antipodean’s cause, with the unemployment rate rising to 5.1% and coming in well above the 4.9% expectation. Elsewhere, contagion fears in Europe have picked up, with market participants seriously worrying about the ability for the Eurozone economy to recover from what appears to be a very deep and messy crisis. 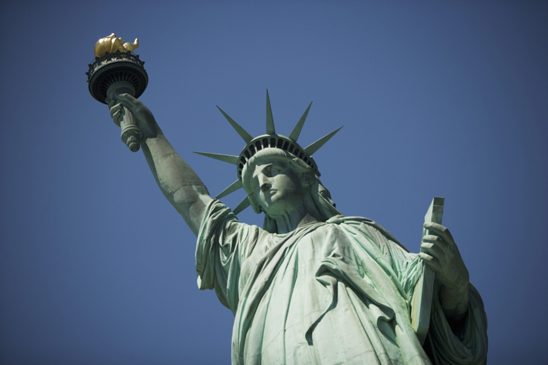 The attention has shifted to Italy, with the country’s banking sector falling apart, while France’s credit worthiness is also in the spotlight following the S&P downgrade of US ratings. Any additional deterioration in the Eurozone could seriously compromise the credibility of the EFSF. 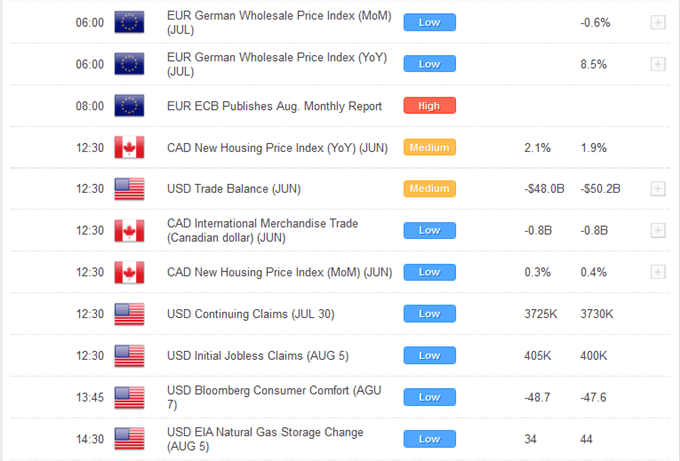 Looking ahead, the economic calendar for the remainder of the day is mostly second tier, and markets should continue to trade off of the broader global macro themes and developments. 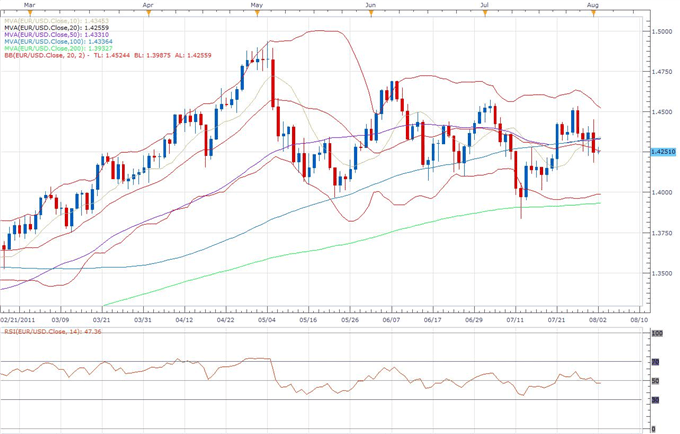 EUR/USD: The market continues to adhere to a bearish sequence of lower tops since May, with a fresh lower top now in place by 1.4535 ahead of the next downside extension back towards and eventually below 1.4000. 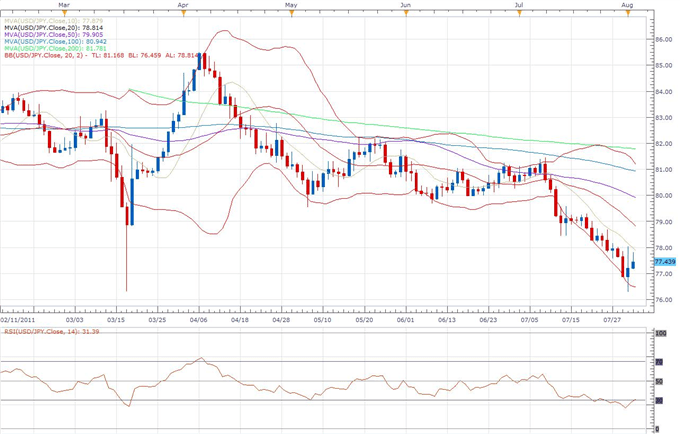 In the interim, look for any intraday rallies to be well capped ahead of 1.4400, while only back above 1.4500 delays. USD/JPY: Setbacks have stalled out just ahead of the 76.25 record lows from March, with the market dropping to 76.30 ahead of the latest reversal. Given that we are seeing the rate by record lows, we would not at all be surprised to see the formation of a material base in favor of significant upside back towards the 82.00 area over the coming sessions. However, the overall structure still remains bearish and it will take a break back above 80.00 to officially alleviate downside pressures and confirm reversal prospects. 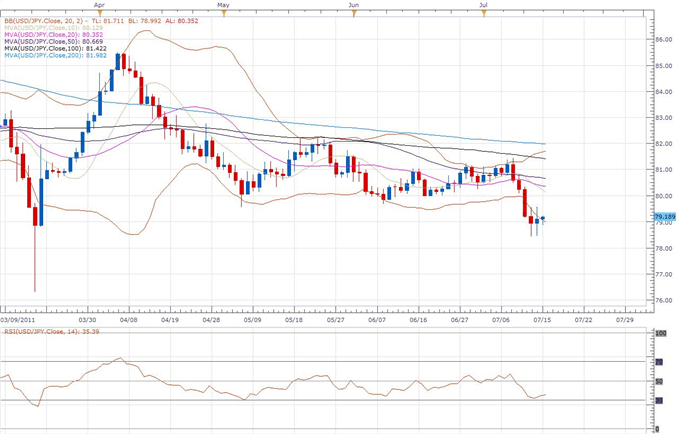 Below 76.25 negates. GBP/USD: The market remains locked in a broader downtrend off of the April highs, and a fresh lower top is now sought out somewhere ahead of 1.6550 in favor of the next downside extension back towards the recent range lows at 1.5780. 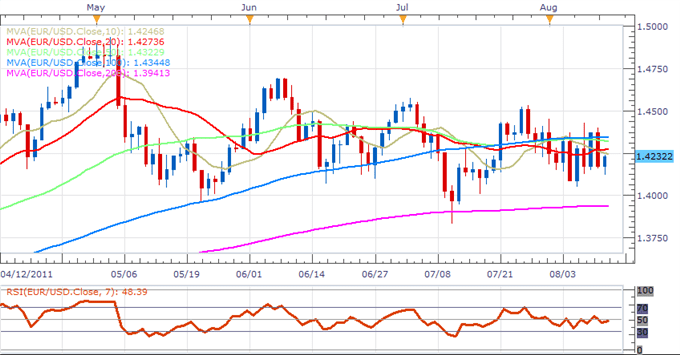 Ultimately, only a break back above 1.6550 would delay bearish outlook and give reason for pause, while back under the 200-Day SMA at 1.6085 should accelerate declines. 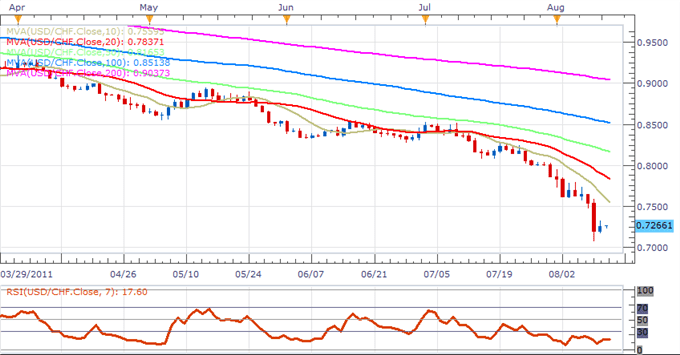 USD/CHF: Despite the intense downtrend resulting in recently established fresh record lows by 0.7000, short/medium/longer-term technical studies are violently stretched, and we continue to like the idea of taking shots at buying in anticipation of a major base. Still, at this point, fading this trend will require some upside confirmation and we would look for a break and close back above 0.7350 at a minimum to open the door for these reversal prospects and alleviate immediate downside pressures. 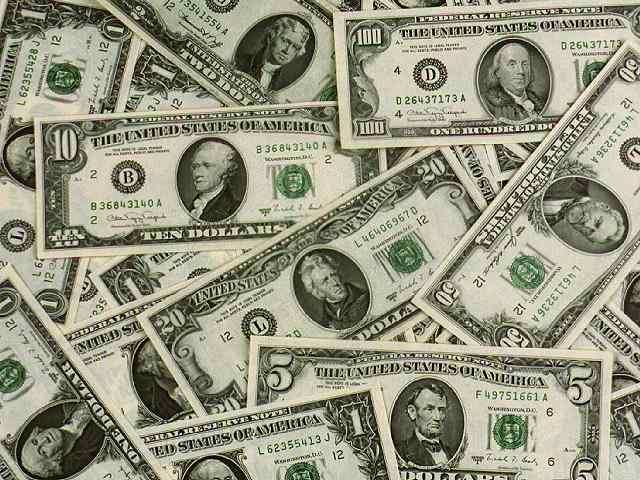 The US Dollar has been well bid overall in the early week, with the price action resulting in a favorable close off of the yearly lows in the US Dollar Index. The only other currencies that have shown better bid in recent trade have been the other safe haven currencies in the Swiss Franc and Yen, which both trade just off recently established record highs against the Greenback. Still, even the Yen and Swissie showed some relative weakness in the latter portion of Monday trade, and with both of these markets looking extremely stretched, the risks from here seem to favor USD appreciation going forward. Markets had initially been well bid on Monday on the news of a resolution to the US debt ceiling talks, with risk correlated assets rallying impressively, before finally reversing quite sharply into North American trade. A combination of concern over the type of resolution achieved by the US government, softer US ISM data, and widening Eurozone peripheral bond spreads, all contributed to the risk off trade, with US equities getting hit rather hard. We also started to finally see some relative weakness in the antipodean currencies, with both Aussie and Kiwi rolling over from post-float record high levels and putting in bearish closes against the Greenback. The RBA has now come out early Tuesday leaving rates on hold at 4.75% as was widely expected, with the accompanying central bank statement maintaining its newly adopted less hawkish outlook. The central bank continues to express concern over broader global macro threats and some worrying deteriorative local fundamentals, and as such, even with the attractive yield differentials, we would continue to look to be fading any strength in the currency as we contend that the best is now behind the currency down under. On the data front, the key release in Asian trade was a weaker than expected Aussie building approvals print. Looking ahead, economic releases in the European session are few, but at the same time should not go unnoticed with Swiss retails sales, UK construction PMI, and Eurozone producer prices all very capable of moving markets. US equity futures and oil prices are consolidating their latest declines, while gold is once again looking toppish by record highs following Monday’s bearish close. 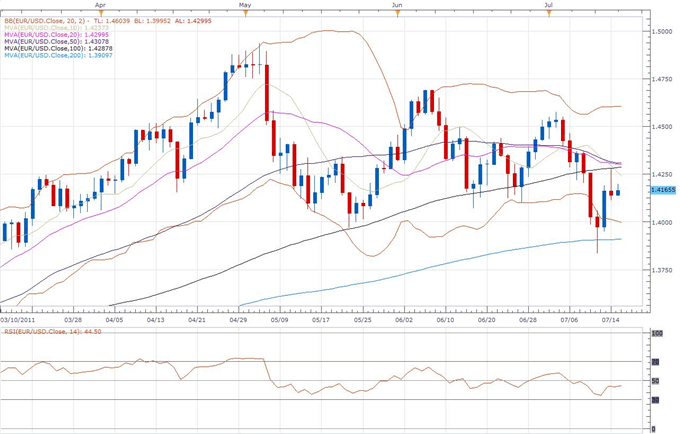 EUR/USD: The market continues to adhere to a bearish sequence of lower tops since May, with a fresh lower top now likely in place by 1.4535 ahead of the next downside extension back towards and eventually below 1.4000. In the interim, look for any intraday rallies to be well capped ahead of 1.4400, with a break and close back below 1.4200 on Tuesday to accelerate declines. 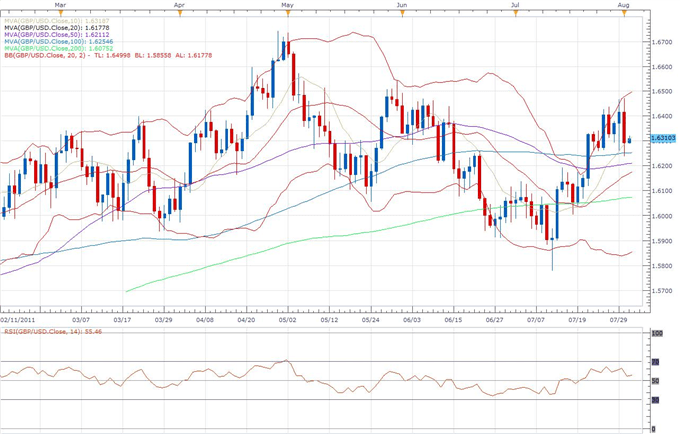 Ultimately, only back above 1.4535 would negate outlook and give reason for pause. USD/JPY: Setbacks have stalled out for now just ahead of the 76.25 record lows from March, with the market dropping to 76.30 ahead of the latest minor bounce. However, the bounce is somewhat significant on a short-term basis, with the market putting in a bullish outside day formation on Monday to suggest that the price could once again be very well supported in favor of a major upside reversal over the coming days. Look for a break and close back above 78.05 to confirm bullish reversal prospects and accelerate gains towards 80.00, while back below 86.25 negates and opens the door for fresh record lows. 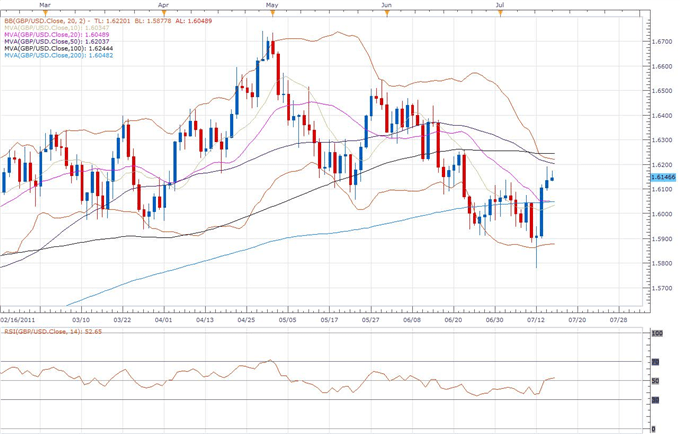 GBP/USD: Despite the latest rally back above 1.6400, the market still remains locked in a broader downtrend off of the April highs, and a fresh lower top is now sought out somewhere ahead of 1.6550 in favor of the next downside extension back towards the recent range lows at 1.5780. Monday’s strong bearish outside formation could very well set up the next lower top by 1.6475, and we look for a break and close back below 1.6200 to confirm and accelerate declines. 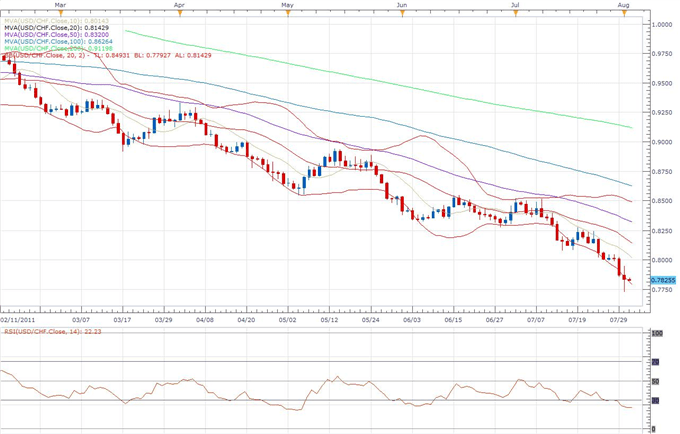 Ultimately, only a break back above 1.6550 would delay bearish outlook and give reason for pause. 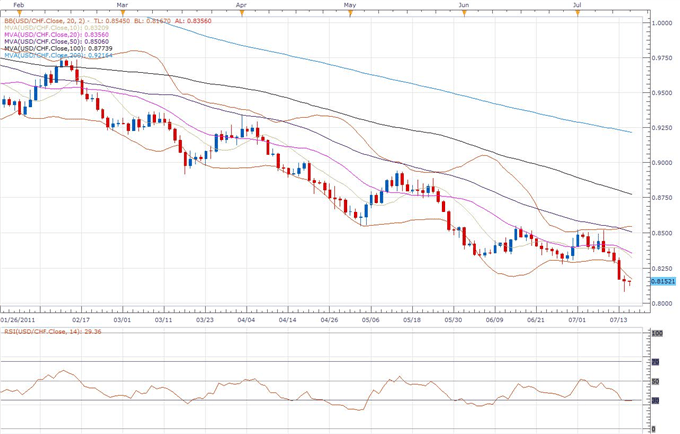 USD/CHF: Despite the intense downtrend resulting in recently established fresh record lows below 0.7800, short/medium/longer-term technical studies are looking quite stretched to us, and we continue to like the idea of taking shots at buying in anticipation of a major base. Monday’s fresh record lows by 0.7730 seem to have been very well supported, and we would be on the lookout for a break and close back above 0.7950 on Tuesday to encourage short-term reversal prospects and accelerate gains. Back below 0.7730 negates. British Pound: Will the BoE Minutes Stir Volatility Like the Last Statement? 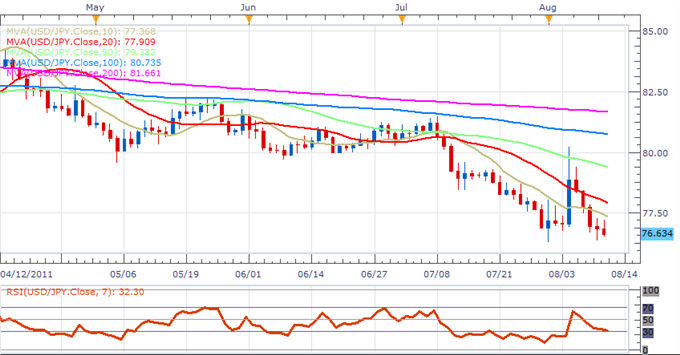 Swiss Franc Marks a Sharp Correction but was it Risk or the Euro’s Doing? Looking at the mix of performance against its most prominent counterparts, it was clear that the currency was following its traditional risk appetite lines. This in itself is rather remarkable because we have seen this particular driver drop off as an immediate catalyst in recent days because of the uncertainties surrounding the countdown for the US to surpass its legal budget ceiling. 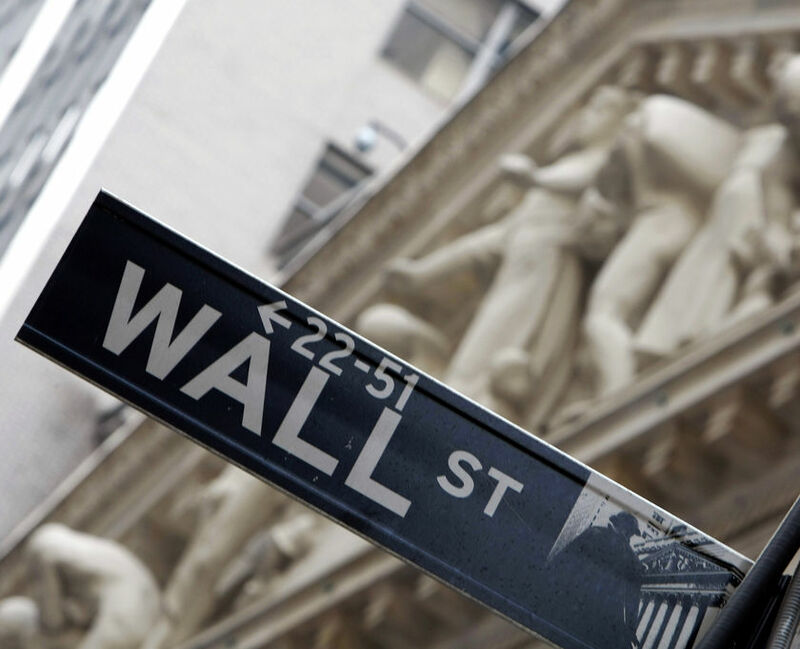 Gauging the convictions behind investor sentiment Tuesday, we can defer to the benchmark S&P 500 Index which rallied a remarkable 1.7 percent – the biggest single-day rally since March 3rd and a sound rejection of a major boundary to bearish progression (the 1,300 level). We can assess this particular catalysts’ influence over the greenback by the severity of the Australian, New Zealand and Canadian dollar’s rallies against the common benchmark. Offering further confirmation of just how pervasive risk trends were, we would further see the greenback actually gain traction against the Japanese yen and Swiss franc – a more convincing funding currency and safe haven respectively. This rally in risk appetite is somewhat suspicious given the fundamentals that were on tap through Tuesday; but it makes more sense when we reflect on the underlying market conditions we are dealing with. Volatility is a stubborn hold over from the previous two weeks when headlines were stirring capital turnover; but the masses are still refusing to generate a consistent direction (bullish or bearish) due to the big-ticket threats that are loom just over the horizon. 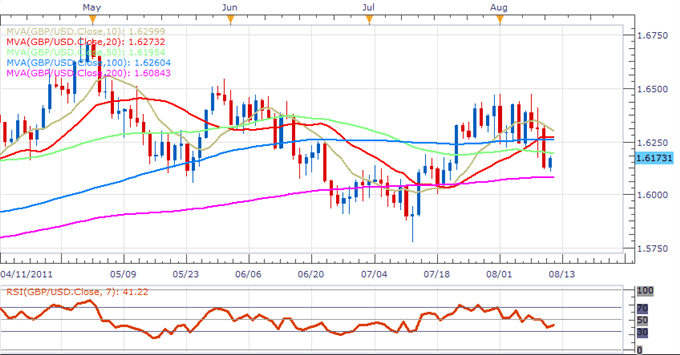 The investor sentiment influence is certainly showing through in the Dow Jones FXCM Dollar Index’s (ticker = USDollar) bearings; but EURUSD is a better guide for the currency’s views beyond the volatility of risk appetite. The benchmark pair gained on the day; but ultimately it is deeply mired in congestion. For this cross specifically we isolate two major, conflicting fundamental drivers. On the euro’s side, the uncertainty surrounding the sovereign debt crisis is providing consistent pressure (more on that below). That is directly contrasted by the fear that we will reach August 2nd without a fix for the US debt ceiling. Through this past session, President Obama voiced support for the ‘Gang of Six’ proposal that would reduce the deficit by $3.7 billion. And, though Speaker of the House Boehner remarked that it didn’t go far enough, it seems that the government is working towards an agreeable compromise. The other important driver for the day (the housing data offered little in the way of lasting influence over the dollar) was the round of 2Q earnings. 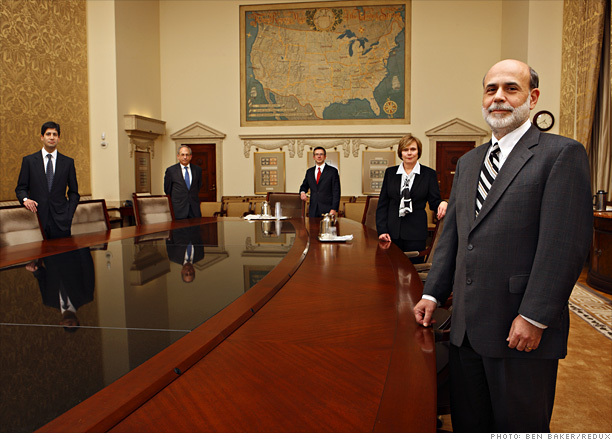 At the top of our watch list were the bank reports: Bank of America, Goldman Sachs, Wells Fargo and Bank of New York Mellon. The health of these financial sector giants represents a strong driver for investor optimism, offer a valuable reflection to the health of the financial sector and presents its own reflection of underlying growth. The BoA $9.1 billion loss is a good reflection of the troubles with the mortgage market as well as the increased regulation; while the $0.33 earnings-per-share speaks to the leveraged use of accounting to maintain fragile market confidence. 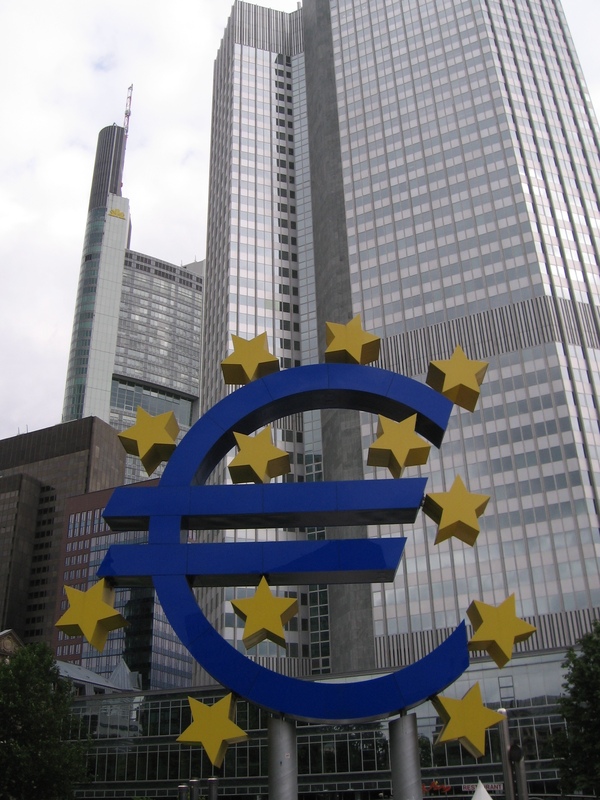 While we haven’t seen another critical step towards the total spread of the Euro Zone sovereign debt crisis; the headlines continue to undermine any positive arguments that are made in support for the euro. The heavy headline flows from the region Tuesday were topped by Portugal Prime Minister Coelho’s announcement that a previously unreported 2 billion euro budget gap was uncovered. Perhaps just as notable though, Spain and Greece auctioned off debt to dubious yields and bidders; ECB member Nowotny seemed to open the door to allowing a temporary default for Greece; and German Chancellor Angela Merkel attempted to curb expectations of a solution for the crisis by the close of Thursday’s summit. The Bank of England rate decision has been a non-event for the sterling for a number of months now. On the other hand, the minutes that reflect the policy authority’s discussions, reasoning for their hold and forecast for the future can certainly catch the markets off guard. Considering inflation and economic activity futures have eased while European financial stability is under pressure, a bearish shift is possible. No change was expected from the Bank of Canada’s rate decision this past trading session; and indeed, the central bank wouldn’t disappoint. That said, the statement that followed the decision offered a little more illumination than was expected. The market focused on the missing word ‘eventually’ in reference to when rates would rise. With a forecast for the economy to hit full potential by mid-2012, this is a good hawkish mix. Like its monetary policy regime, the Australian dollar is not untouchable. 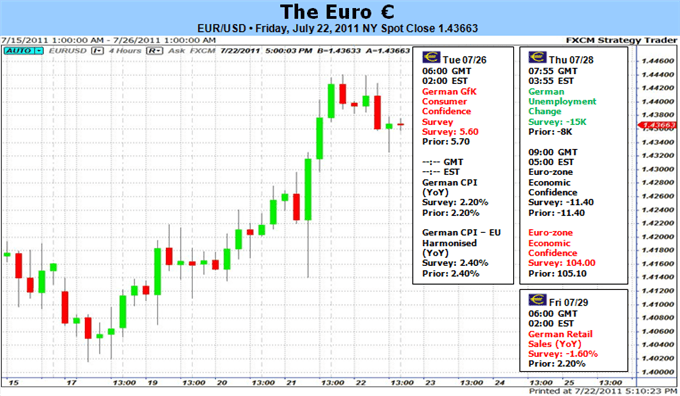 After the RBA minutes reported that it could hold on rates for an extended period of time to assess the financial market feedback from Europe’s troubles and inflation pressures, the currency started to pullback. It is difficult to see exactly how much influence this has on a pair like AUDUSD; but AUDCAD offers a better contrast to policy expectations. Monday’s pullback could have been written off as volatility; but the stumble from the franc Tuesday cannot be brushed off so quickly. The tumble against high-yielding currencies like the Aussie and kiwi dollar’s can be attributed to the risk appetite run; but USDCHF and EURCHF reversals are more intrinsic to the franc’s fundamentals. The currency comes under the magnifying glass when the market doesn’t blindly sell euros. We were so close to hitting that unprecedented 12-day run; but ultimately, gold wouldn’t make it. 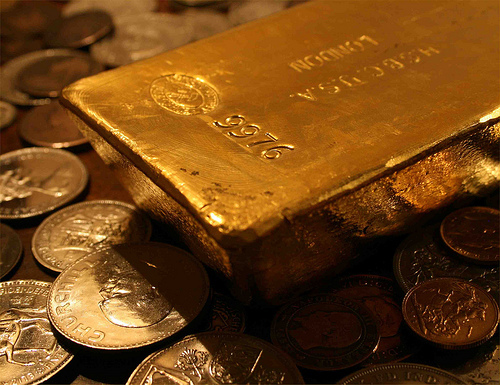 After 11 consecutive days of advance; the precious metal would finally fall back on suggestions that the US president and Congress were coming closer to a palatable compromise on the ever-problematic debt fears. That said, issues in the US and Europe are far from resolved; so don’t build a large short just yet. 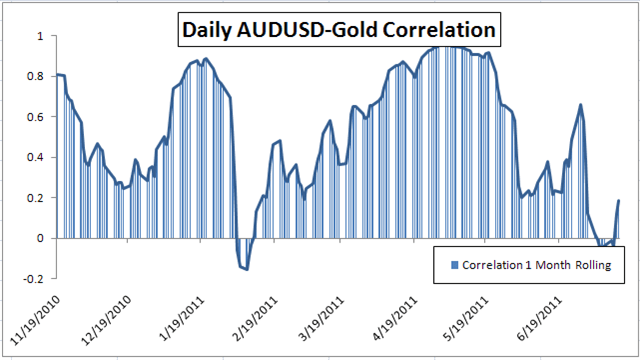 The following table includes the correlation between gold and the most popular currency pairs over various timeframes. 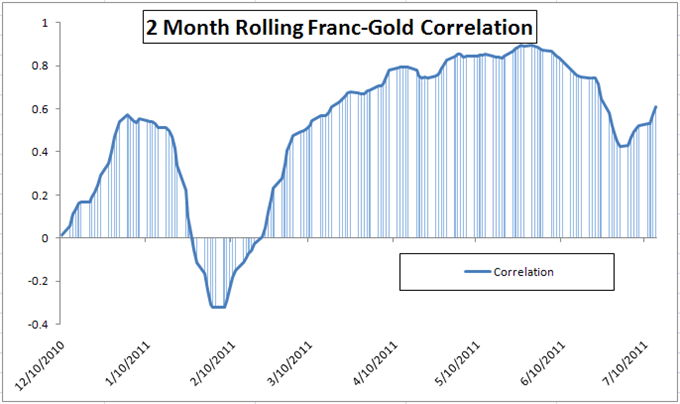 A value close to +1 indicates a strong positive relationship between gold and the pair, while a value close to -1 indicates a strong negative relationship. Colored values indicate week-to-week changes of over 30%. 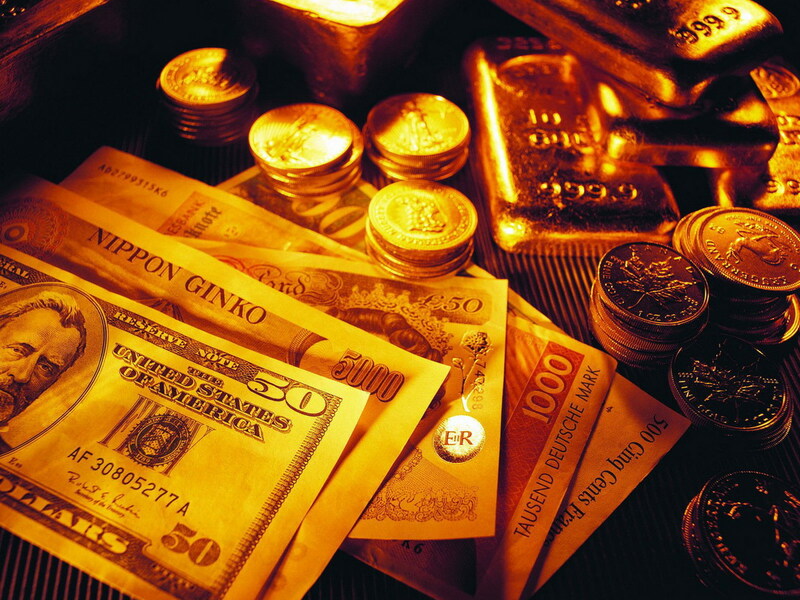 Weekly Commentary: Short term correlations with gold and dollar pairs rose to the highest in recent history as Moody’s threatened to downgrade US government treasury pending the ongoing debt scuffle in the House of Representatives. The fear that the safest asset in the world may lose its status hurt the dollar on all sides as investors flocked to both foreign currencies and precious metals. For more about the debt ceiling and what it means for the dollar, please refer to this analysis. On a longer term outlook, the Japanese yen and Swiss franc gained in tandem with the yellow metal, showing increased safe haven demand. Fundamental problems this week ranging from a possible contagion of the European debt crisis to Italy to the possible US debt downgrade induced further flights to safety. Despite the record flows, markets are looking forward to second quarter earnings next week and a possible conclusion to the debt fight. 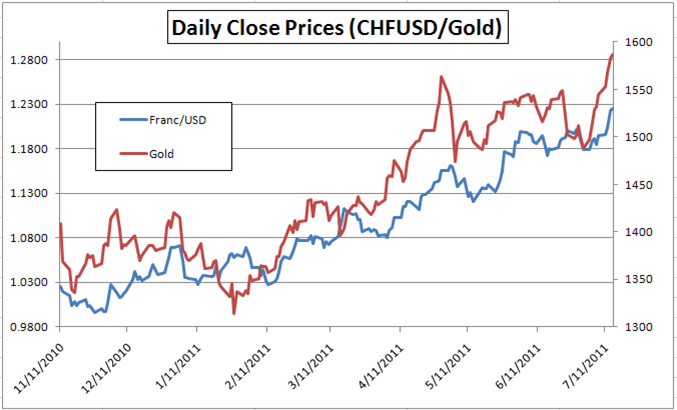 Please note: Chart uses franc rate as CHFUSD to show safety correlation with gold.